Export the detailed privileges of every CRM security role into an Excel workbook. How would I determine what server my companies CRM is installed on? I wanted to try out your Security Roles utility but I don’t know the server where we are installed. Is there a way to find it out from the UI, I am Sys Admin on the system. Mitch, you should be able to determine the server type from the URL you use for accessing CRM via a browser. 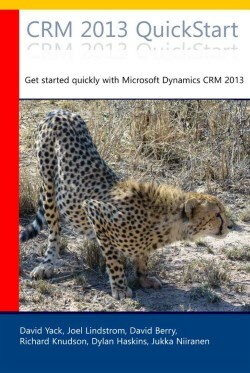 If it ends with “.dynamics.com” then you’re in an Office 365 environment with 99% certainty (a few customers could still be in Windows Live ID based CRM Online legacy platform). It doesn’t look like it. I suggest you try reaching out to the project coordinator via the contact form on CodePlex. Please how do I run the application? The zip file does not contain a .exe file. Hi Jukka I am trying to Import this tool in to V9.0 of Dynamic 365 .But its not importing there. I followed Kostas’s recommendation and tried to start the tool. I was able to get a list of all CRM organizations but could not pass the next stage (I am using Dynamics 365 v.9). Does anyone know if there the source code contains bugs? The version inside the folder 9 works fine. I don’t think this works with Dynamics 365. There is no option when you attempt to connect to enter the URL, only region, username and password.